Each week we ask a leading figure in digital news about their work, their career and what it takes to be a journalist in the 21st century. 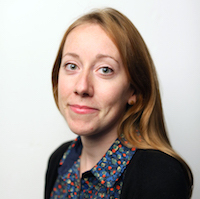 Our guest this week is Kerri Macdonald, social media photo editor at The New York Times. She gives us insight into her role, the tools she uses in her job and what she's learned from being in the industry. What is your job title and what does that mean? I am a social media photo editor for The New York Times. I work on our newsroom’s social media team but as an extension of our photography desk – a department I was a member of before we created this new hybrid role. My primary goal is enhancing the presence of our photography on social platforms. Earlier this year, working with my colleague on the social desk Jessica Anderson, I launched @nytimes, our primary Instagram handle. Throughout the week, I curate photos, write captions, arrange "weekend projects," interact with our Instagram community and work on enterprise stories. Since launching, we have hosted two Instagram meet-ups and experimented with user-generated photography. And I coordinate with the editors running our other Instagram accounts, like @nytimestravel. I also create photography-driven posts for our primary New York Times Facebook and Twitter accounts. I also help run the @nytimesphoto Twitter feed and a Facebook page about photography. And I, of course, always try to experiment with emerging platforms like Snapchat. In my second year of university, in Kingston, Ontario, I started writing for the campus newspaper, the Queen’s Journal. I eventually took on a couple of editing positions, and fell in love. After applying to a number of graduate programs, I found myself at the City University New York (CUNY) Graduate School of Journalism. I was fortunate to land an internship working on Lens, the photography blog at The New York Times, where I was hired on contract after graduating. Six years later, I have spent time in the Hong Kong bureau of The International New York Times, worked on The Times homepage, edited photography on the Metro desk and experimented with words and video on Lens and elsewhere online. What do you most look forward to at the start of your day? My coffee. I'm not kidding. I always take a look back at what happened overnight on @nytimes on Instagram. I like to stay on top of reactions to our posts, and answer questions when possible. And, of course, I scroll through Instagram often — both on @nytimes and on my personal feed, @kermac — to see what’s happening. If you follow the right people, it’s an inspiring way to start the day. What does a normal day look like for you? In emoji. What three tools or apps do you use more for work and why? I recently started using the List App, which is exactly like it sounds: an app to read and make lists. It's a lot of fun! We have a presence there as The New York Times, which I would recommend following. We work on a weekly feature called a Journal on VSCO, a mobile photo app. A few days ago, I was introduced to their new app, DSCO. It’s all about GIFs, which are not my speciality. They’re fun so far! And, of course, I use Instagram constantly. For anyone who is interested in visual communication, it can be a really powerful tool. I think it's important to let yourself fall down the rabbit hole, as they say. Find a photojournalist whose work you respect, and look to see who he or she follows. In an odd way, in a world where everyone seems to have 35 tabs open, I find Instagram soothing. One picture at a time, it allows me to focus. In most cases, there is nothing encouraging me to click out to something else. No tabs! What would you focus on if you were training as a journalist now? I think the basics are still crucial: learning new ways to look for a story, talking to people; familiarity with the resources that can be used to tell a story; an understanding of the media landscape, too. CUNY, where I got my master's degree, recently launched a program in social journalism. It isn't just about how to craft a tweet, but about reporting on and interacting with communities. Journalists should be trying to understand the way communities function on the Internet. I do think we're all in training, all of the time. I'd like to learn the basics of coding. And I want to get better at using data to inform my work. What skills do you think are important to your role? Organisation is key. I work with the photography across our newsroom, from international coverage to local, from food photography to fashion. We have a lot of photos. And that leads to a lot of choices in how we curate for Instagram. For instance, we don't want to post too many portraits in a week. We don't want to post too many photos from New York, or too many sports photos. You have to be organised to stay on top of things. I think it’s also important to be creative and willing to experiment. Sometimes that means using a quirky emoji in a caption. It also means exploring every possible image choice and thinking about different ways to draw people in using captions. That’s more difficult on Instagram. With that in mind, writing is actually an important component of my job. Again, many people skim by the captions on Instagram. But what we’re doing with our account is trying to draw people into stories first with the images and then with condensed versions of the articles — or, occasionally, with captions that are completely about the photos. We’re telling big stories in a very little space. What has your current job taught you about the industry? I’ve learned so much about audience development in this role. Our team meets regularly for updates, and many of my colleagues are working on things that didn’t used to come up in conversation in the newsroom at The New York Times. We’re using data and analytics in new ways to inform decisions like publish times and identifying which groups of people would be most interested in a story. We’re experimenting with new ways to tell stories to different communities around the world on different platforms. What would you say to someone applying to work at your organisation? Be sure to familiarise yourself with some of the work that a particular desk or group has worked on over the past few years. In general, try to learn as much as you can about the history of the place. The Times newsroom has changed a lot in the past year or two, but history is still so important here. I’ve had the pleasure to work closely with so many inspiring people, here at The Times, in grad school and elsewhere. At one point when I wasn’t sure what my next career move would be, one of them said to me: “Make a pie-in-the-sky list of five places you'd like to work in your life right now. Then make a list of five things you want to do in your life right now.” I’m paraphrasing here. It sounds so simple, but how many people have ever thought deeply about these two things? Join us next week for a new look into the media industry – in the meantime, check out our other weekly interviews with digital media experts.